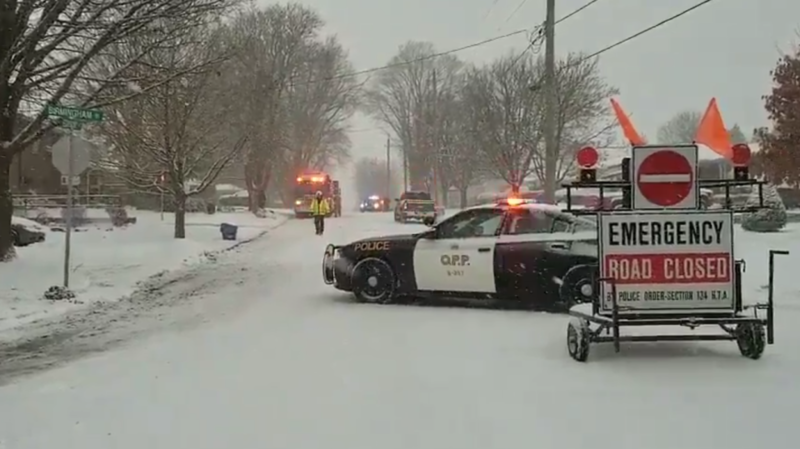 An apartment in Mount Forest has been evacuated after a fire began in one of the units. Police and fire responded to the area just before 6 a.m. on Egremont Street North. The road was closed while officials investigated. A male, 32, was transported to a local hospital with burns to his hand. The fire was contained in one of the ten units, but the whole apartment was evacuated. There was an estimated $100,000 in damage as a result of smoke and water damage. Patrcik McDermott, 32 of Mount Forest, was charged with arson by negligence. He was due in a Guelph court on Jan. 18. The displaced tenants were accommodated by Guelph-Wellington Housing. There was no set time for them to return. Wellington North Fire Services and Wellington County OPP attended to investigate, and the Ontario Fire Marshall was contacted.